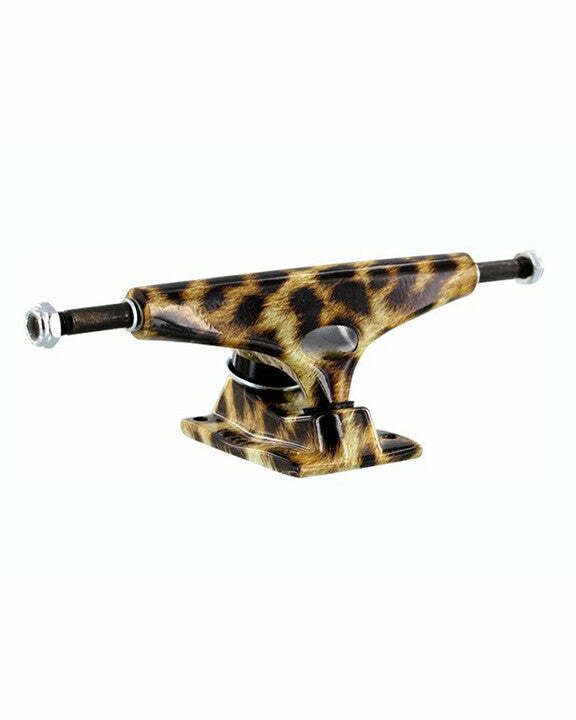 Strong and lightweight forged baseplates with a deep jungle vibe, the Leopard Forged Trucks feature World's Best Cushions that feel broken in from the start. 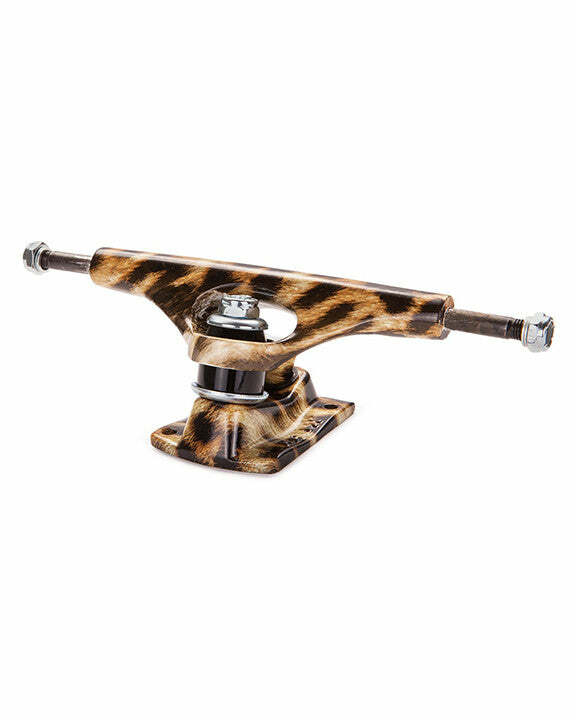 Krux 5.0's are 8.5 inches wide and are great for boards from 8.25 to 9 inches wide. 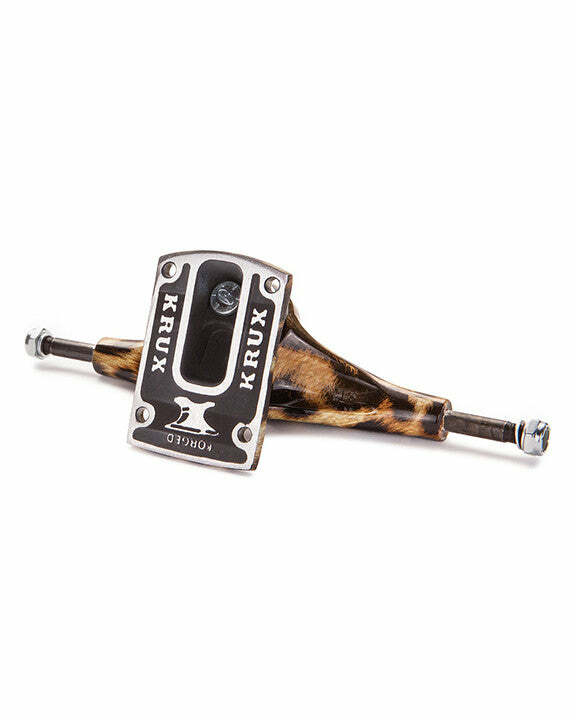 Krux Leopard Trucks feature forged boardsaver baseplates.